The latest PC titles that make use of DirectX 10 crave more than the standard 2GB of RAM for the ultimate gameplay experience and the highest settings. 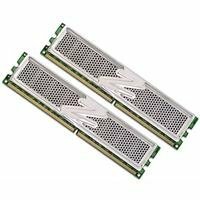 Computer enthusiasts and professionals utilizing high-bandwidth video, music, and graphics applications will also benefit from the ultimate balance of speed and density the new PC2-8500 4GB Platinum offers. The PC2-8500 Platinum Series will be available in 2GB modules and 4GB (2x2048MB) Dual Channel Kits. 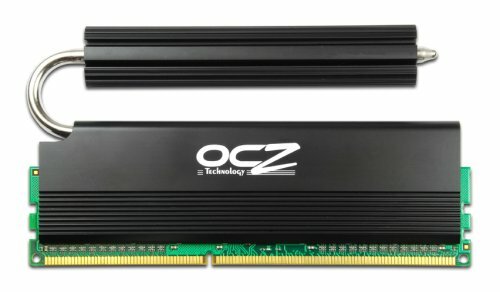 Although the OCZ Platinum series can meet all enthusiast demands, this high-capacity, high performance memory can become a user-friendly household item for the complete range of consumers looking to maximize system performance with additional RAM. As part of OCZ's line-up of premium memory, PC2-8500 Platinum Series modules are backed by a Lifetime Warranty and industry-leading technical support so you can push your high-performance memory to its limit. The new PC2-6400 Vista Upgrade edition is optimized for perfect compatibility for those transitioning from Microsoft Windows XP to Vista. The OCZ Vista Upgrade series has gone through stringent testing with the full spectrum of Vista versions to deliver a perfect balance of memory performance and stability across the full range of applications. For gamers shifting to Vista and who prefer the performance of high speed memory, the PC2-6400 Vista Upgrade 2GB kit is the ultimate upgrade from 1GB of RAM ensuring the best possible gaming and productivity on Vista systems. 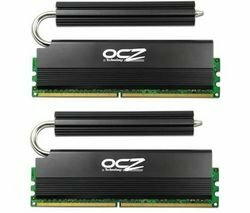 OCZ PC2-6400 Platinum Edition 240-pin DIMM DDR2 PC2-6400 800MHz 2GB (2 x 1GB) SDRAM unbuffered Dual Channel system memory kit; Heart pounding performance; CL 4-5-4-15 timings; 2.1 volts; XTC (Xtreme Thermal Convection) Edition gold finish copper heatspreader included. EVP (E)xtended (V)oltage (P)rotection. 100% hand tested. 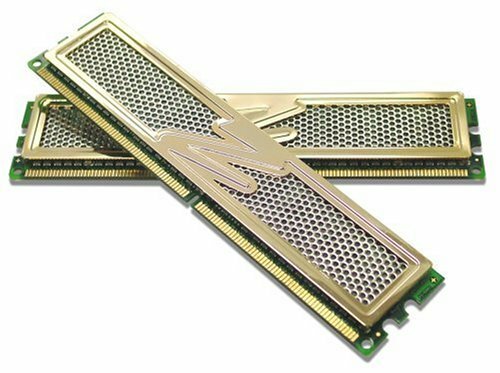 1GB Kit (2 x 512MB)--EL DDR2 PC2-6400/800MHz/Gold Gamer eXtreme/XTC Edition/Dual Channel. 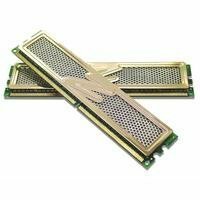 800MHz DDR2 CL 5-5-5-12 (CAS-TRCD-TRP-TRAS) Unbuffered Gold Layered XTC Heatspreader 2.1 Volts 240-Pin DIMM EVP. 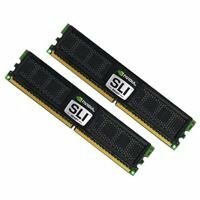 2GB (2 x 1024MB)---EL DDR2 PC2-6400/800MHz/Enhanced Latency/Platinum Edition/Rev. 2/Dual Channel! 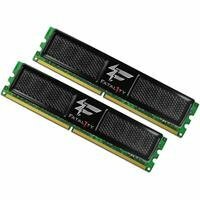 800MHz DDR2 CL 4-4-4-15 (CAS-TRCD-TRP-TRAS) 2GB (2x1024MB) Dual Channel optimized kit Unbuffered Platinum Mirrored XTC Heatspreader 1.9-2.1 Volts 240-Pin DIMM ATI CrossFire certified OCZ Enhanced Latency 2.2V EVP. The new PC2-6400 Gold Rev.2 GX XTC series offer superior balance of stability and performance for gamers looking to take advantage of lower latencies matched with high speed. 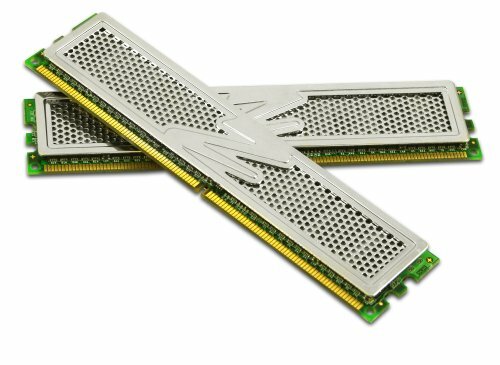 Operating at 4-5-5 timings, this new DDR2-800 solution offers lower latencies than standard DDR2 modules to meet the performance needs of serious gamers. 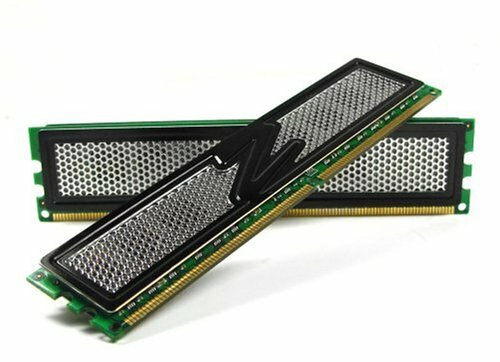 The DDR2-800 Gold Rev.2 GX is available in 2GB dual channel kits for the ultimate memory upgrade for the latest graphic-intensive PC games, such as Battlefield 2, Half Life 2, Doom 3, and Quake 4, which deliver the best end-user experience with 2 GB of memory. Copyright © Wholesalion.com 2019 - The Best Prices On Ocz Nvidia Sli Ddr2 Online.